Chrissy (Janelle Brady) and Warren (Gil Brenton) are the nice power couple at their school. So they mostly steer clear of the drugs that circulate school. But recently the drugs seem to have had a strange effect on the pupils around them. Maybe that has something to do with the nuclear power plant that is right next door? 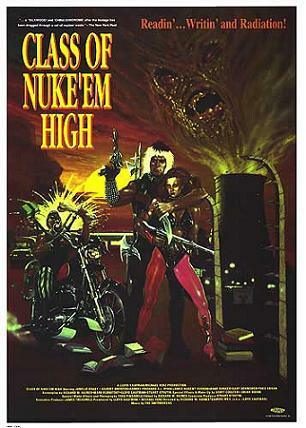 Class of Nuke ‘Em High wasn’t really my cup of tea. I had the impression that the Troma movies were more like Japanese crackpot movies. While there are certainly some similarities, it just didn’t reach that amount of craziness for me. The movie has one distinct advantage over many of its kind and that’s that it knows exactly what it is – a C-movie parody of a B-movie. And it was fun to watch for the most part, though it moved surprisingly – to me – slowly. I am used to parodies of this kind to have a new crazy thing every minute and here it felt more like every 10 minutes. Which is only not enough in comparison. But in this case, it left me feeling rather bored. What I did love about it was the costume department. I could have watched an entire movie just about The Cretins. They could sit around and drink tea, for all I care, just as long as they changed their costumes every once in a while. But other than that there isn’t much about the film that will probably stay with me. It’s been a couple of weeks since I saw it and I had to look at my notes to remember what I meant to write about it. And even when I wrote my notes down there wasn’t much I had to say. 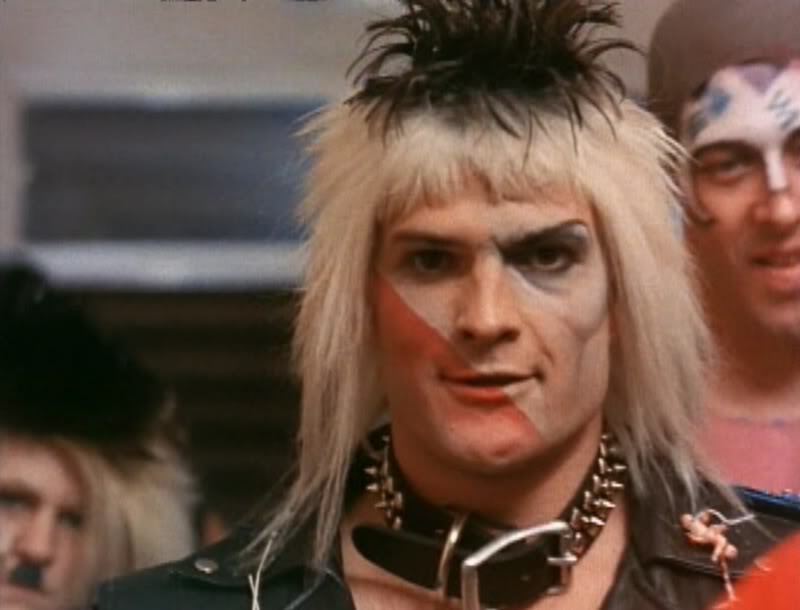 This entry was posted in movies and tagged /slash Filmfestival, 1986, Brad Dunker, Class of Nuke 'Em High, Gil Brenton, James Nugent Vernon, Janelle Brady, Lloyd Kaufman, Mark Rudnitsky, Nuke 'Em High, Pat Ryan, Richard W. Haines, Robert Prichard, Stuart Strutin, Troma by kalafudra. Bookmark the permalink.